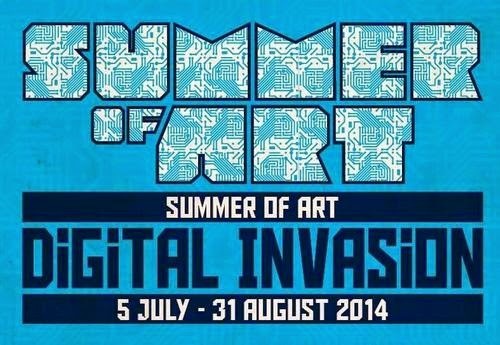 Yesterday I went along to the Art in the Sun exhibition in Ingsdon, Newton Abbot. 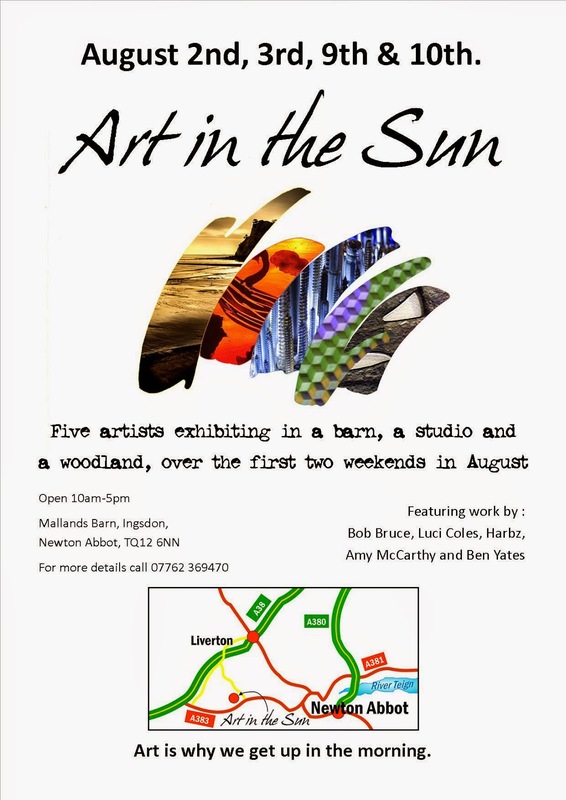 The exhibition features the work of five artists in a barn and in the surrounding woodlands and is well worth a visit. It includes Ben Yates' studio where you can see his electronic creations. When I visited, Ben kindly spent some time explaining to me how he creates these pieces and answering my questions. 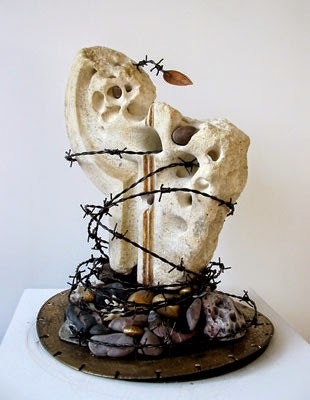 I've previously seen Ben's awesome creations when he was exhibiting at TAAG, and posted some photos in my blog. 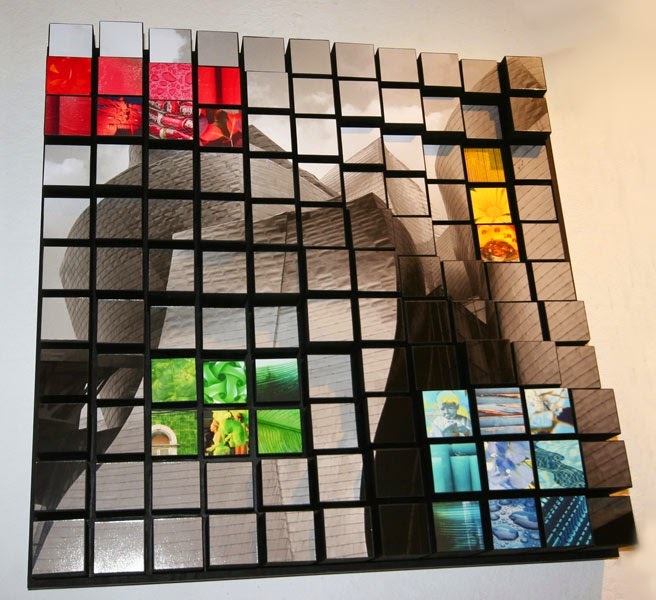 In the current exhibition you can also see a number of his clever photocubism pieces - photographs combined with wood cubes of varying depths (are they still cubes?) - unusual and nicely executed work. There is also some beautiful sculpture and mixed media work by Luci Coles; and op art (mainly different diamond configurations) by Bob Bruce. The other artists are Harbz, who brings a touch of urban grit to the exhibition, and stained glass pieces by Amy McCarthy. This is a fascinating mix of work displayed in an idyllic setting, when the sun is shining. I only hope that this weekend remains dry and that people get the chance to get along and see it. The location is just beyond the turning for Hannah's, on the A383 out of Newton Abbot - so you could easily combine this with a visit to the absorbing exhibition of digital work by Michael Takeo Magruder at Hannah's. I'll be posting about this shortly.